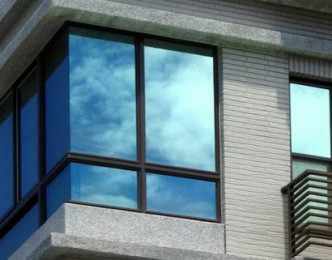 Window films may not be something most people consider for their own homes. But they are actually a great idea to help elongate the life of your floors and furniture, reducing fading and sun damage. They can make your windows more energy efficient, increase privacy, or reduce glare as well. At DECO Window Fashions, we offer window films to both our residential and commercial Austin customers. Our professional installers will see to it that your new window film is applied seamlessly to your home. Window Films are an extremely useful tool, when you use them correctly. They can help preserve your home furnishings without impeding your beautiful views. Improve Your Home’s Appearance: Window films have a range of aesthetic options that allow you to compliment your home or office’s exterior no matter the style. 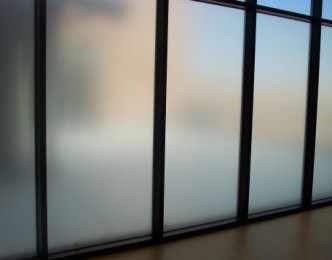 Heat Reduction: Window films reject solar heat and keep interior temperatures cool and stable. It can control hot spots and cool off overly sunny areas in your home. Efficiency: If you decide to have window films installed in your home or office, you are likely to save on your monthly energy bills. The air conditioner won’t need to be used as much, saving both your money and the environment by cutting down on your utilities and your carbon footprint. Glare Reduction: Window film is an effective way to reduce reflective glare that enters through the windows of your house or business helping you avoid the annoying hassle of a glare when you’re working on your computer or watching TV. Reduce Fading: The most common causes of fading to your floors and furniture are solar heat, UV rays, and visible light, with UV rays being the biggest culprit. Window film can help protect your skin and home from this kind of sun damage, by filtering and blocking ultraviolet light and reducing the amount of light that enters your home. Privacy: With tinted or frosted window films, you can increase your privacy by making it difficult for people to see inside your home. Security: Many of our window films can even make windows more difficult to shatter. This further protects your home from the effects of bad weather, thrown objects, or even an attempted home invasion. We also offer window films that provide a thick barrier film reinforcing the glass so that if the window breaks, the glass shards can be contained. 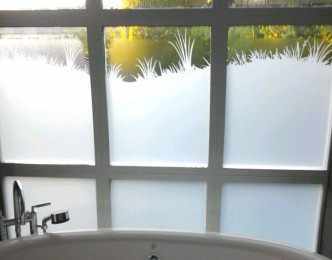 Our wide selection of window films work great with residential homes. Whether your focus is on privacy or reducing glare we have the window film that will work for your home. Commercial businesses can drastically increase their utility savings by installing window film. Window films can not only save you money but they will protect your office furniture from fading and your computers from annoying sun glare. No matter what type of window film your office needs, we’re here to offer the right solution. Protect your home with our window films while enjoying the sunshine and cultivating an open atmosphere. Contact us today to choose the right window films for your needs and your home.